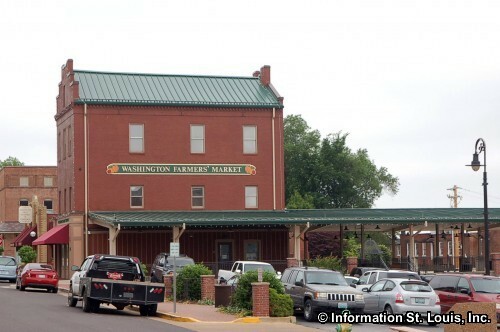 The city of Washington Missouri has a Farmers' Market located in its downtown area on Main Street. Featured at the market are locally grown produce, bedding plants, locally grown beef, baked goods and crafts. The Market is under cover and open rain or shine, April, on Saturdays, 8am-2pm; May through October, Wednesdays 3pm to 6pm and Saturdays 8am to 2pm; and November and December, on Saturdays, 9am to 1pm.